Hi everyone! I am so sorry I haven’t been able post very often. I am working on a big paper flower backdrop that I can’t wait to show you! Because I am trying to improve my blog, I am going to try to include more video tutorials. 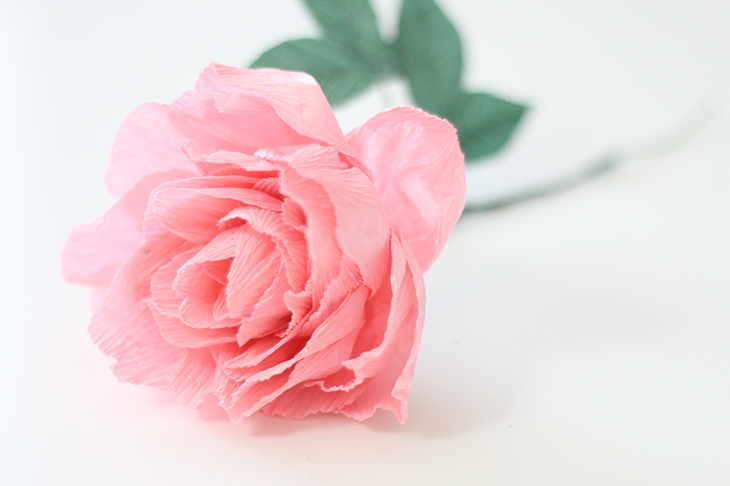 For today’s post, I went back to one of my most popular post–the crepe paper peony. This time, I made a video tutorial. I did make a few changes to the tutorial so that the flower is fluffier. In addition, I included instructions on how to create the center, calyx, and leaves. I hope you liked this updated tutorial! If you have any questions, feel free to leave me a comment. Stay tuned! I have a couple of new tutorials coming up! Ash, I miss you! Please come link up your absolutely Beautiful tutorial, here, up at our What to do Weekends Party! These are beautiful and with your videos – so easy to make. These would brighten any corner. Thanks for sharing. Visiting from Merry Monday. Hi Ash! You’re my Feature @ the new What to do Weekends Party! I’m so glad you found a way to link up with us! Beautiful and realistic! They would go well as centerpieces, and are perfect for the summer! Thanks for the tutorial. Thanks so much for stopping by, Ann! Brilliant tutorial! How much would you scale up your peony to make a giant 24″-36″ version and how many rolls of crepe would you estimate? I have never tried making the peony in a large version before! I have done a giant rose though, and that used up less than one roll of crepe paper. I think you’ll be able to create a 24″-36″ with one roll! If you do try this out, I’d love to see it! I absolutely loved watching the tutorial and can not wait to try making these gorgeous flowers. I hope to make a bouquet of different pastel pinks and give as gifts to precious friends. Thanks for your expertise and instructions. These are lovely! The tutorial is easy to follow and the results are beautiful. Thank you! Lovely. 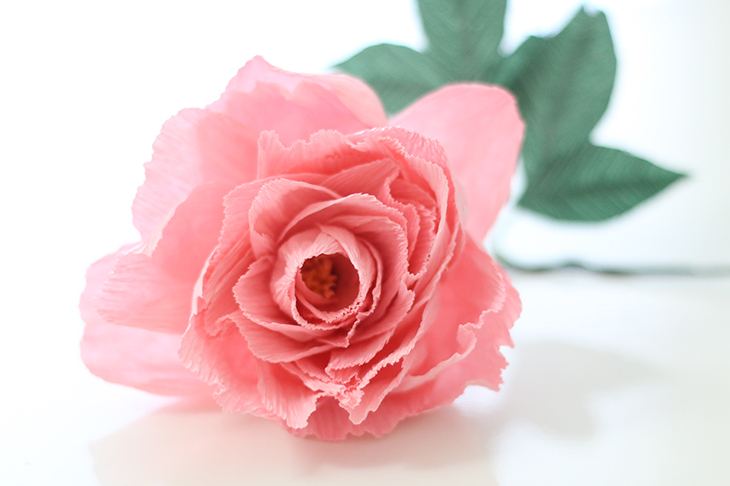 Could you make printable paper template of the petals so that we can print it out. Thank you so much for this video. Your instructions are so clear and precise. You make it look so easy! I’m making these for my wedding.